A lot of the fusing I do is to make suncatchers and combine interesting shapes and colors. Most of the items in the galleries are sold, but if you see something you want, please inquire about a custom order. 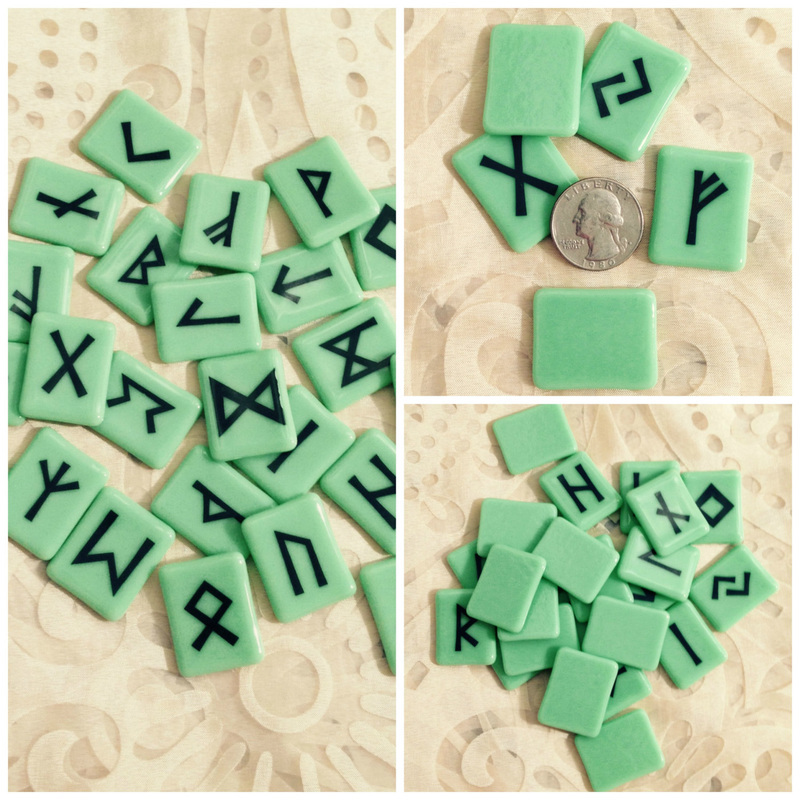 These Elder Futhark Rune sets are made by hand. The symbols are enamel that is kiln fired onto glass and will not wear off. The Elder Futhark sets are complete with all 24 symbols. I do not include a blank rune because there is no historical evidence (that I am aware of) that a blank rune was ever used. This is a modern addition to rune sets traced back to the 1980s with no basis in tradition that scholars have been able to find (again, that I am aware of). These runes were an experiment that went extremely well! The rune sets can easily be made in many colors. Visit my Etsy store to see available rune sets or email me to place a custom order.